Our honey bees have arrived! We've just bought six nucleus hives from Calla Tessling and combined them to make four new honey bee colonies. We are building up each colony to use in our glasshouse pollination experiments in September. The hives made it safely to Armidale and are set up on UNE's SMART Farm. 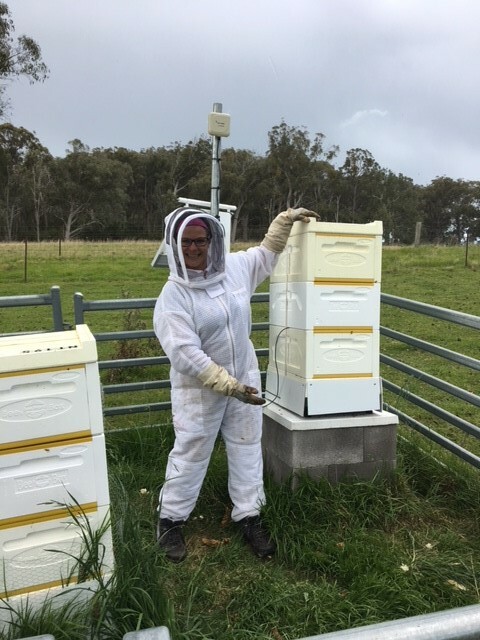 After a crash course in basic beekeeping from Bruce White a few weeks ago, our team, led by Carolyn, are making sure they stay safe over winter.